Question time. What is the largest intact forest on the planet? 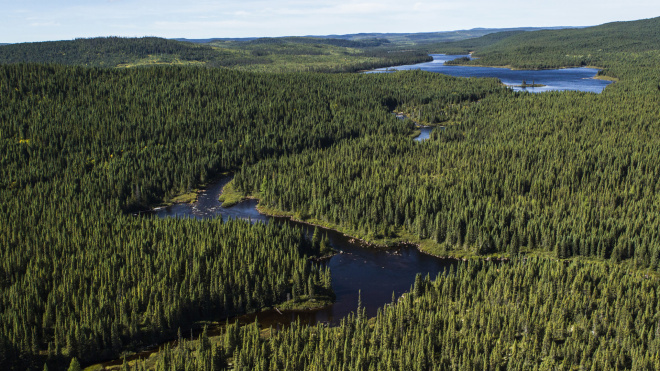 If you guessed Amazon, firstly you aren’t the only one; more importantly, you’ll have to know the answer is the Canadian boreal forests. Here are some facts: It covers a staggering 1.5 billion acres, between 1-3 billion birds flock nest and breed here each year, it alone stores 208 billion tonnes of carbon i.e 20 years worth of the world’s emissions from burning fossil fuels, and contains 200 million acres of surface fresh water alone. Yes, that’s a lot of numbers; but they are only some of the reasons for making sure these forests stay intact. 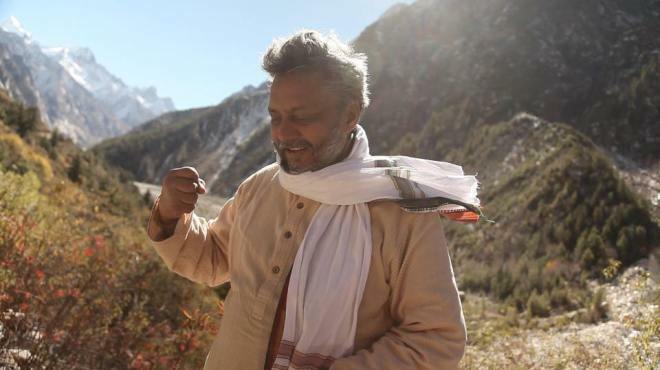 Twenty years ago, when 28-year-old Rajendra Singh arrived in an arid village in Rajasthan, he came with degrees in Ayurveda and Hindi and a plan to set up clinics. That’s when he was told the greatest need was not medical help but clean drinking water. Groundwater had been sucked dry by farmers, and as water disappeared, crops failed, rivers, forests and wildlife disappeared and people left for the towns. In 2008, The Guardian listed him as one of its “50 people who could save the planet”. In March 2015, he was awarded the Stockholm Water Prize, known as the Nobel Prize for water. Two months ago, France passed a law that requires the rooftops of new commercial buildings to be partially (at least) covered by solar panels or plants. The law, passed back in March, was a compromise with French environmentalists and more conservative* members of society. 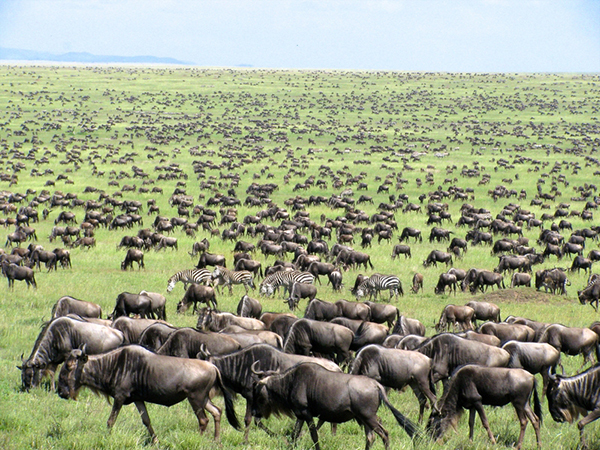 The Great Migration of Serengeti National Park, designated a World Heritage Site, is legendary. The stars of this 1,200-mile odyssey are the wildebeest – 1.5 million of them – accompanied by 200,000 zebras. Every year is an endless journey for them, chasing the rains across 150,000 square miles of woodlands, hills and open plains. With them having firmly established their caliber as a species built literally for the long run, the migration spectacle should probably be the only space where the wildebeest find a mention. But conservation debates are hovering over these beasts – categorized as non-threatened by the IUCN – and looking at them as a keystone species. This is a David Attenborough video on Galapagos pink iguanas. A volcano in the Galapagos Islands whose fiery eruption raised fears for the world’s only population of pink iguanas has calmed, sparing the unique critters from danger, officials said Tuesday. Wolf volcano is still showing signs of activity but has died down since a tour boat to the area found it breathing tongues of fire, puffing smoke and spilling bright orange streams of lava Monday, said officials at the Galapagos National Park and Ecuador’s Geophysics Institute. “We haven’t had any more explosions like yesterday’s, which suggests a decrease in activity. However, there are still lava flows, which is normal in these cases,” said Alexandra Alvarado of the Geophysics Institute. Ring Mountain is part of the Marin County Open Space District. 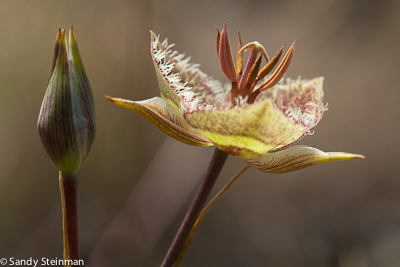 It was mostly cloudy providing good light for flower photography, but fairly breezy so patience was required. Ring Mt. is a habitat of mixed grassland and woodland as well as areas of serpentine rock. The plants are a mix of natives and aliens. Trees and Shrubs included Coast Live Oak, Monterey Pine, Toyon, Buckeye, Bay, Coyote Bush, Blue Elderberry, and Poison Oak. Lots of alien grasses.